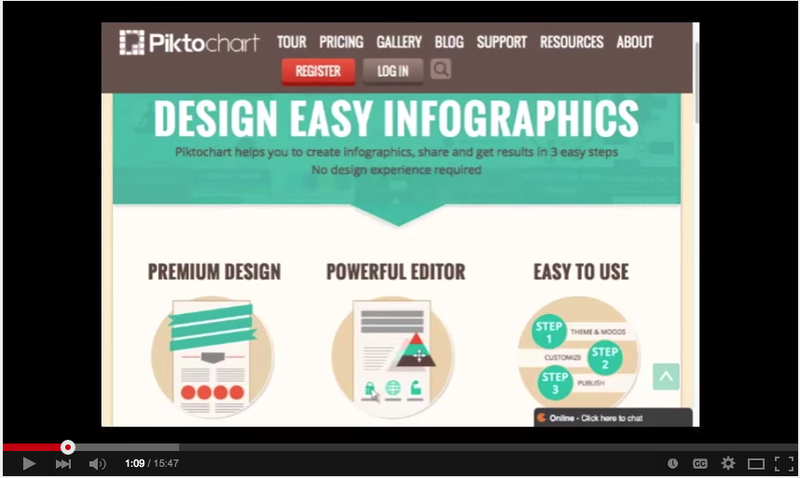 Piktochart is one of our favourite web tools for creating posters and infographics. We have reviewed it here in EdTech and mLearning in several posts in the past.And since then, Piktochart has added some really cool features and functionalities that make it super easy for users to easily design and share visually appealing infographics. The video we have for you today will walk you through the process of creating a beautiful infographic in less than two minutes. You can also check this page for a selection of video tutorials on how to use the different features provided by Piktochart. We are also sharing with you this excellent video from Secondary Solutions to show you how to use Piktochart in the classroom. Other interesting web tools for creating educational infographics we recommend include: Easel.ly, Canva, and Google Draw.